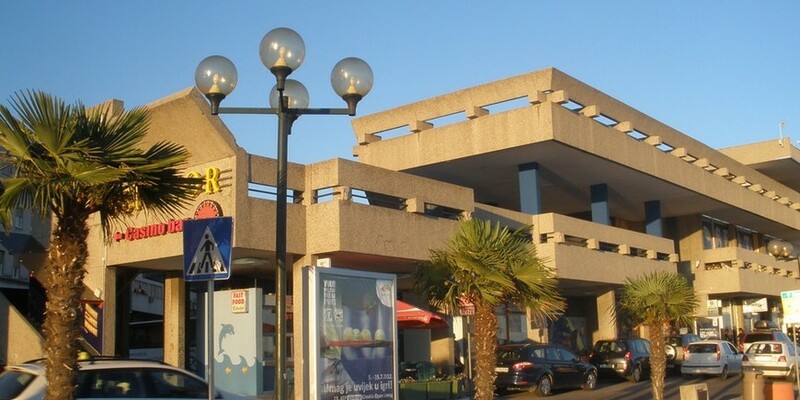 Šibenik bus station is handily located on the seafront a 5-minute walk east of the Old Town. It is served by 4 or 5 express buses per day from Zagreb, with an average journey time of 4hr 20min. There is an additional handful of Zagreb-to-Šibenik buses that take a longer route, calling in at Zadar or the Plitivice Lakes on the way. Ticket prices range from 136kn to 151kn one way. Šibenik also lies on the route of many long-distance bus routes linking Rijeka and Zadar in the north to Split and Dubrovnik in the south – so arriving here from elsewhere on the Adriatic coast is relatively easy. The bus station itself is equipped with plenty of cafes and patisseries (mostly Open until 21:00 or 22:00), two ATMs, a left-luggage office (garderoba; daily 07:00 - 22:00, 4 - 5 kn per item/per hour), ticket office (Open 05:00 - 22:00), information desk (Open 05:00 - 22:00) and a public toilet (07:00 - 22:00). From Zagreb: Šibenik lies just over 300km from the Croatian capital, with much of the distance covered by the swift and highly scenic A1 motorway. With the route crossing the bewitchingly barren Lika plateau before burrowing its way through the dramatic Velebit mountains, you’re in for an exhilarating ride. Be aware that the A1 is a toll motorway, and the Zagreb-Šibenik stretch will set you back about 152kn (car) or 92kn (motorbike) each way. 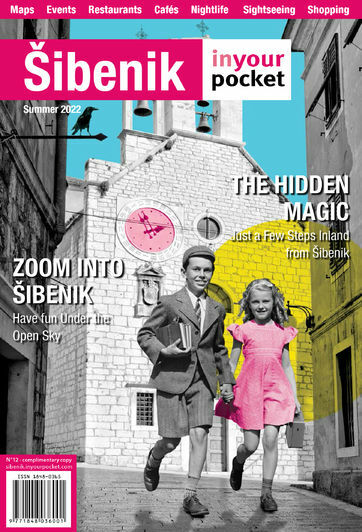 From elsewhere on the Adriatic coast: Šibenik is on Croatia’s main coastal road, the Magistrala, which runs from Rijeka in the northwest to Dubrovnik in the southeast. It is a stunning journey, which takes you past some of the most beautiful maritime scenery anywhere in Europe. However it can be full of traffic and time consuming in summer, when it might be worth heading inland and picking up the motorway for a stretch or two. Getting from Zagreb to Šibenik by train takes about nine hours and involves a long wait at Knin, where you change trains. As of this spring, weekend trains at Knin will be replaced by buses. Although Šibenik is connected to Perković on the Split-Zagreb line, rail travel does not represent a great way of getting around the county. Perković-Zagreb trains do pass through the inland towns of Drniš and Knin, but only twice a day and at inconvenient times – making day trips by rail rather impractical. Šibenik train station is about ten minutes’ walk west of the Old Town. There is a café at the station (Open 06:00 - 23:00.Closed Sun. ), ticket office and information desk (Open 06:00 - 22:00), a public toilet, but no left-luggage facilities. Nearest airports are Split (45km to the southeast) and Zadar (50km northwest). Local buses run from Split and Zadar airports to the relevant city bus stations, where you can get an onward service to Šibenik. Journey times to Šibenik from Zadar bus station hover around the 1hr 30min mark; from Split expect around 1hr 50min. The local tourist association offices listed in this guide can help you out with a whole lot of information about individual towns, resorts, parks and sights. We should mention that the office hours tend to be rather eclectic, so you might want to check on their Web sites or give them a call before trekking over.